Based on Upgrades extensive aquaculture experience, Upgrade Solutions offers a practical, cost-effective and commercially viable fish farming model that recognizes and addresses the social and economic needs of the community including development of employment opportunities and SME (Small Medium Enterprise) business opportunities. 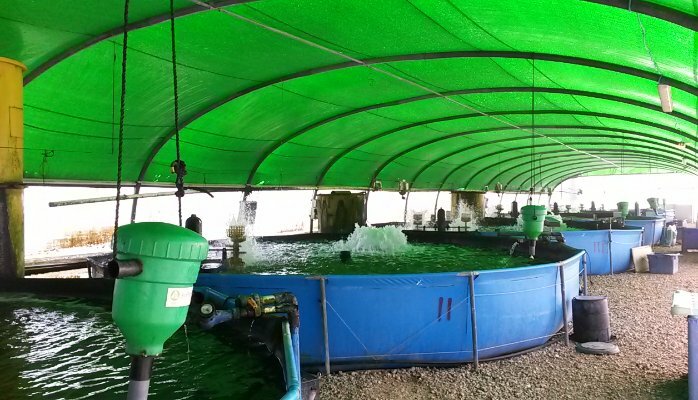 The “Community Fish Farming Initiative” model, is based on a co-operative environment where a central farm and training center provides management support and production coordination to satellite farms. In this initiative, several families living around a water source will set up a highly efficient "Mini Recirculating Aquaculture System (RAS)" backyard fish farm with a BioFishency single pass biofilter (SPB) system and a total of 6-8 fish tanks. The families will receive support from a central unit that supplies raw materials, services and fish and provides marketing support. Produce and provide high quality fingerlings to farmers enabling them to attain high yields. Marketing and Research and trial of different fish species. The satellite farmers focus on a single step within the overall production cycle - mainly the “Grow Out” or “fattening” of fingerlings supplied from the Central Farm until they reach an optimum size for the intended target market. The Central Farm provides Satellite farmers with the confidence, ability and resources to overcome any set-up or operational challenges that may be experienced, and thus allow them to grow their own businesses under the expert management and supervision of Central Farm personnel. 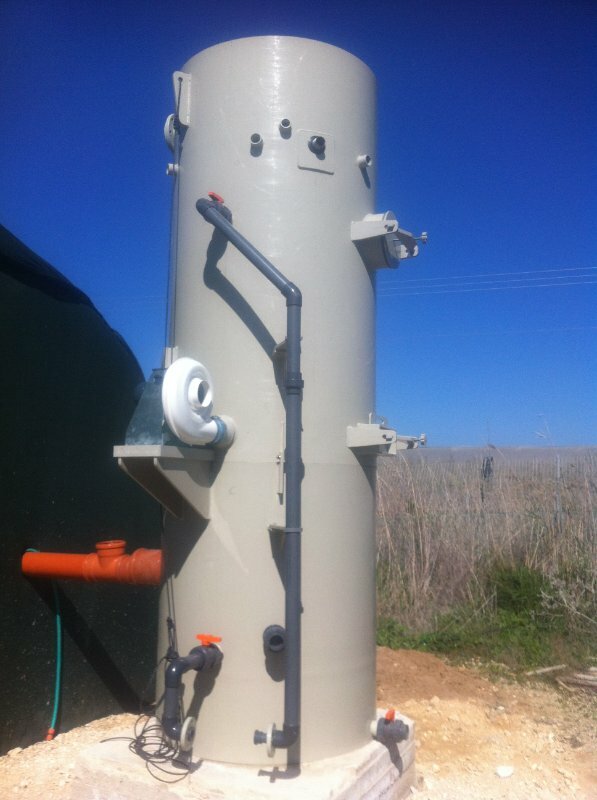 All fish tanks of a single backyard fish farm will be connected to the innovative BioFishency’s all-in-one water treatment system, which will increase fish production and save water and land resources with minimal investment, significantly increasing profitability and sustainability. The system incorporates several known water treatment technologies into one product, producing a one-pass filtration system. This simplifies the filtration process and production costs, and makes it affordable for small-scale farmers. את השאלה הזו שואלים אנשי השיווק והמכירות בחברות יצואניות בכל תעשייה ובכל יום. המידע כמובן חשוב לזיהוי הערוצים באמצעותם מוצרים ושירותים בקטגורייה שלנו מגיעים לזירת היעד כמודיעין תחרותי וגם כדי לפנות למפיצים אלה ישירות. שת"פ של מכון היצוא עם ה SkyLimit / IsraelExporter.com הביא להשקת קמפיין (ל-10 חברות) בו הוצע לחברי מכון היצוא לגלות מיהם מפיצי המתחרים. תוך שעות ספורות הוזמן השירות ע"י 10 יצואניות שפנו מקטגוריות תעשייה מגוונות: הייטק, אפליקציות, טלקומניקצייה, קוסמטיקה ועוד. שביעות הרצון וההכרה בחשיבות השירות הובעה מייד לאחר השלמת השירות ע"י היצואנים שהצליחו לחשוף מידע איכותי המסייע למכירות. זהו עוד שירות ייחודי אותו מספקת אנו מספקים ליצואניות ישראליות וכן מהעולם. Silentium’s AcoustiRACK™ ACTIVE (ARA™) wins the QUIET MARK Award, the International Eco-Award for excellence in quietest product design, from the UK Noise Abatement Society. The AcoustiRACK™ ACTIVE, with its outstanding noise reduction and heat dissipation performance, is already used widely throughout the world to solve noise pollution and create a quiet work environment. Silentium joins efforts with Quiet Mark and utilizes its noise-cancelling technology to bring "the quiet revolution" one step further by reducing exposure to chronic noise. In our work places we are surrounded by a relentless cacophony of noise - electronic devices, servers and other equipment. This constant hum effectsour productivity and healthas well as our ability to think clearly. Noise problems emerge when servers and routers need to be situated in populated places such as labs, offices, schools, hospitals,where a dedicated “server-room” is not feasible. During conferences and tradeshows it becomes difficult to present IT products and talk to prospective clients while constant noise produced by routers and servers disrupts your line of thought. How can people concentrate and be productive when there is so much noise around them? Silentium has made it its mission to deal with this form of pollution and reduce the levels of noise in offices and other work places. AcoustiRACK™ ACTIVE is an innovative cabinet that helps reducing the negative effects of noise pollution. "This product can reduce noiseat the office while maintaining a desired temperatures to prevent machine burnout. 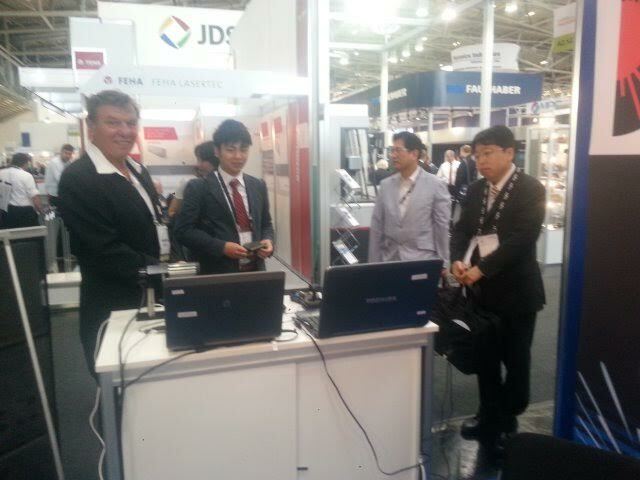 Companies can save space which otherwise be dedicated to a server room,” explains Silentium VP sales Uzi Shalom. “We help creating quieter surrounding that helps workers increase their productivity as part of the global efforts to reduce noise in the work environment". Dust and overheating can damage the company's equipment and increase its electricity expenses. With the AcoustiRACK™ ACTIVE the performance of servers and other IT equipment can be improved, while maintaining cool temperature and dust-free environment. This unique noise-abatementcabinet succeeds in achieving unprecedented levels of noise reduction, covering the entire audible spectrum. 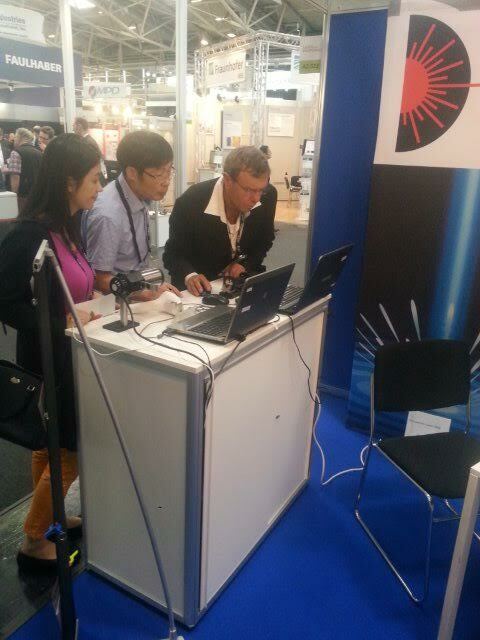 "Quiet Mark is pleased to support such innovative technologies that address noise pollution. There is no reason to accept noise as fact. 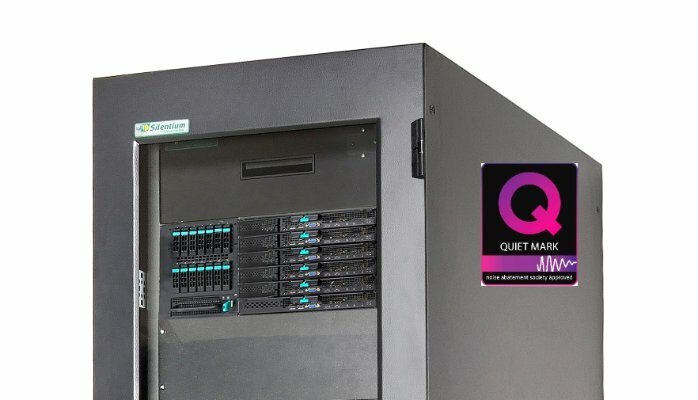 People can live and work in a noise-free environment thanks to Silentium's Active Noise Reduction Technology which is credited and approved by Quiet Mark." Quiet Mark, an arm of UK's Noise Abatement Society, is considered an authority when it comes to noise-control approval. In order to be recognized and use the Quiet Mark logo, products go through a series of acoustic and performance tests that prove beyond doubt its high performance and quality. AcoustiRACK™ACTIVE (ARA™) is a state-of-the-art cabinet that enables up to 30 dB(A) with 8 KW of heat dissipation and dust protection for 19-inch servers and networking equipment. When combined with unique, high-quality acoustic materials, the ARA™ achieves unattainable spatial noise reduction over the frequency bandwidth of the audible spectrum. 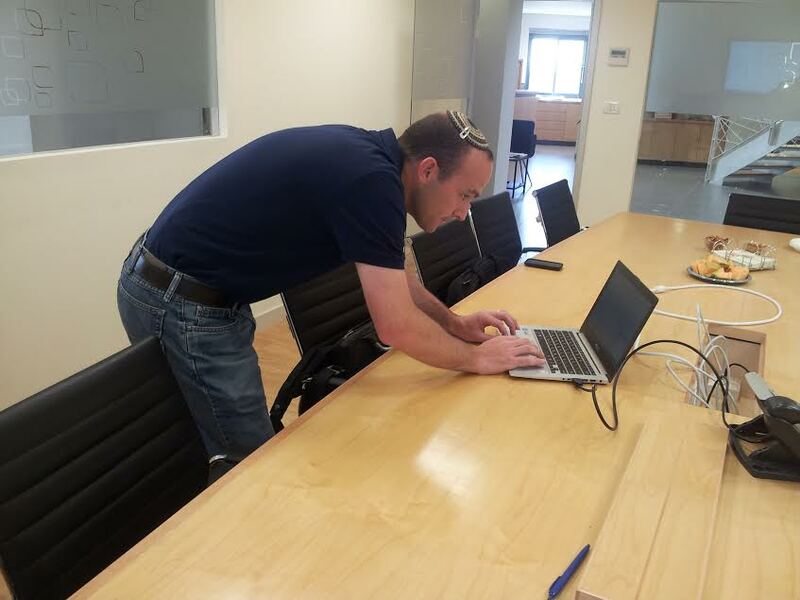 The Trendlines Group is Israel’s leading seed-stage investor, investing principally through its platform of Israeli government-licensed business accelerators. The Trendlines Group establishes, invests in, and develops innovation-based medical and agritech businesses to improve the human condition. 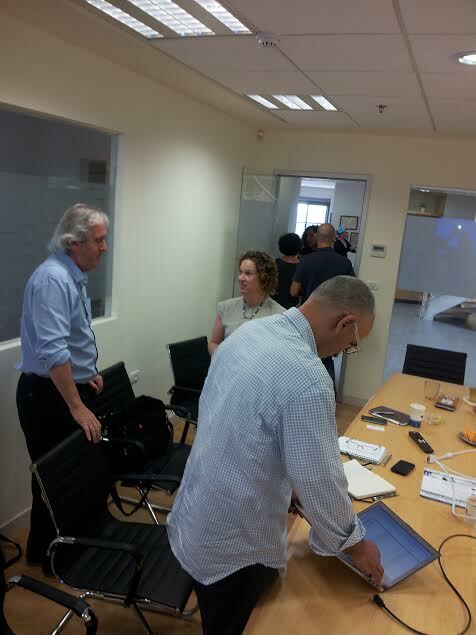 On Tuesday we had the opportunity to present the IsraelExporter.com service/program to several portfolio companies of the Trendlines Group. Over the years we've provided some nice value for two Trendlines companies: Breezy and Edenshield. 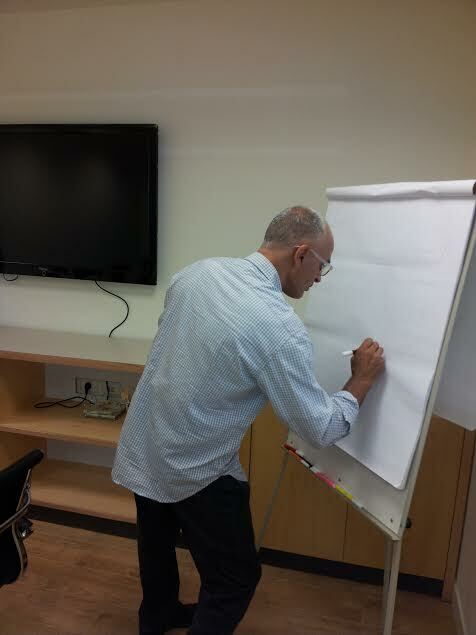 In our presentations, we showed what we did and what these companies received. Companies leaving incubators cannot waste time, they must be super focused on activities that will lead to generating revenue. Generating revenue is the name of the game. Creating conversations, sales and generating revenue can only happen when there is accuracy in the channel partner research. No company can afford to waste time dealing with irrelevant people. 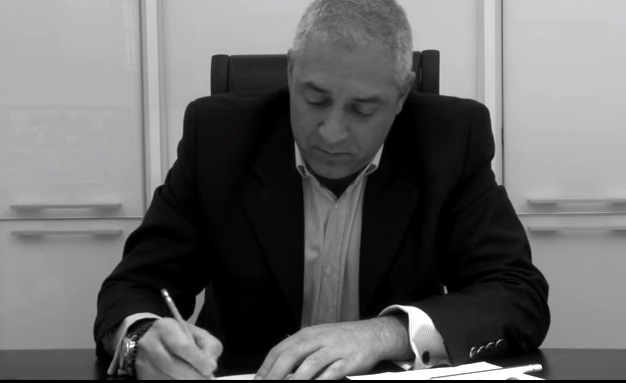 1- Our B2B channel partner research that we provide for our companies is very accurate. Matchmaker! Matchmaker! Make me a match! Find me a find! Catch me a catch! Remember that song from Fiddler on the Roof? All Chava is looking for is one good guy. On some levels, B2B lead generation is really all about connecting with a few good relevant people in each market to get the ball rolling. 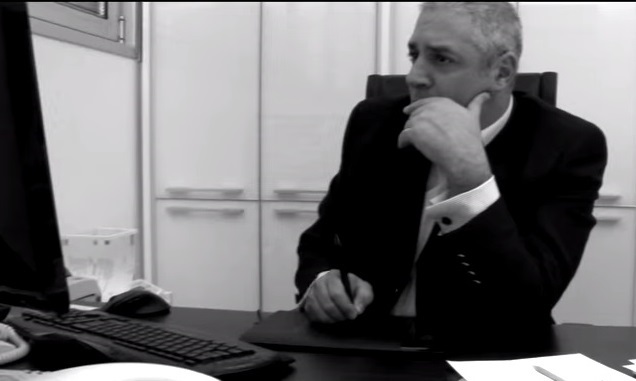 When the research is accurate and the companies have a great sales, biz dev team in place - a match is bound to happen. Research of the most relevant managers + personal contact details. B2B channel partner research can often become complex and time consuming, and that's why we invest a great deal of time and money in developing our tools, methodologies, service and program. 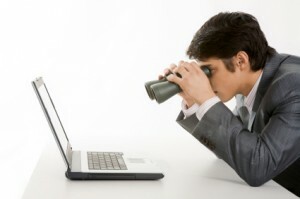 These efforts allow us to provide accurate information for companies on the IsraelExporter.com and lead the B2B research, marketing and lead generation industry. 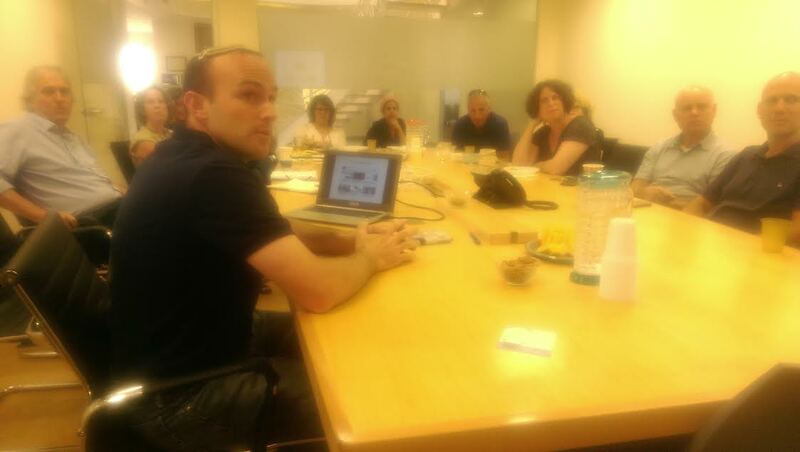 It was great to have the opportunity to introduce the IsraelExporter.com service/program to the portfolio companies of the Trendlines Group. 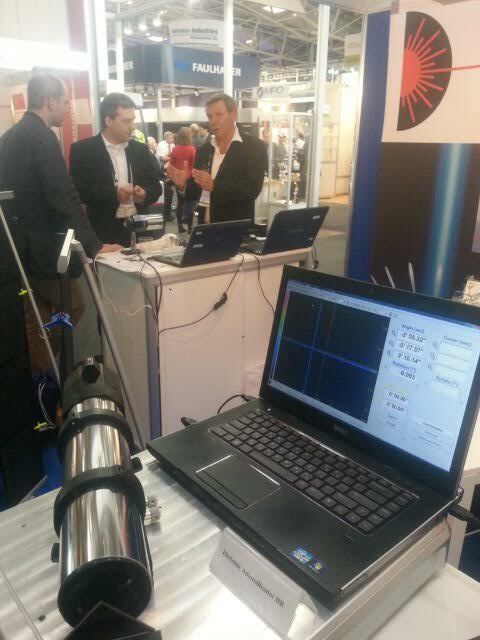 Pictures from our meeting with Trendlines! 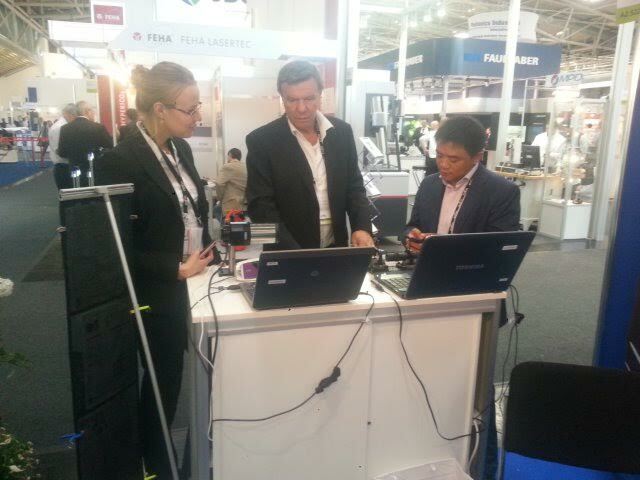 Aerotel is happy to announce that the HeartView P12/8 Mobile is now CE Certified! The HeartView P12/8 Mobile is a 12 (or 8) lead ECG event Recorder/Transmitter. It is a small yet very powerful device with high resolution 12-Lead ECG recording technology. 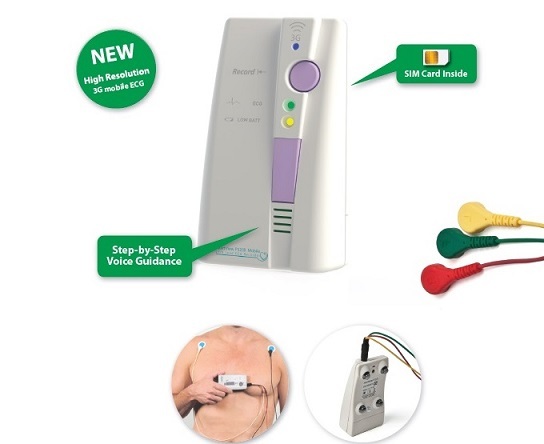 The HeartView P12/8 Mobile is designed for patient use by its unique method of recording. The devices has its own audio speaker and is programmed to give the user simple, easy to follow, step-by-step instructions on how to record and transmit the ECG data at the touch of a button. 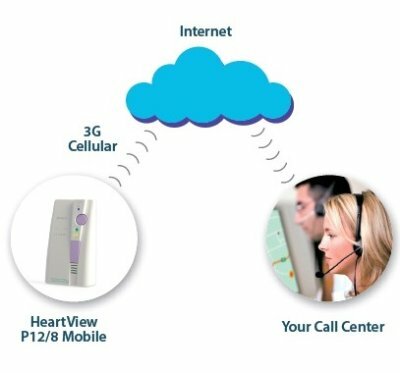 The HeartView P12/8 Mobile, which uses a SIM card in the device itself, enables the transmission of comprehensive ECG data from any place, at any time. The recorded ECG is automatically transmitted via cellular network to a cardiac call center for immediate diagnosis by using Aerotel’s HeartLine Receiving Station (HRS) or any other compatible system. Continue Reading Here. Aerotel Medical Systems is a leading global manufacturer of modular, mobile and home based telemedicine and telecare solutions, designed to transfer essential medical and lifestyle data over the telephone, mobile phone, wireless, the Internet and other electronic media. Since 2009 CoolSense Medical has been developing and marketing their innovative pain-relief and life improvement devices around the world. The first Coolsense product "E-CoolSense – Innovative Anaesthetic Device That Numbs the Skin Prior to Injection" has gained worldwide popularity. 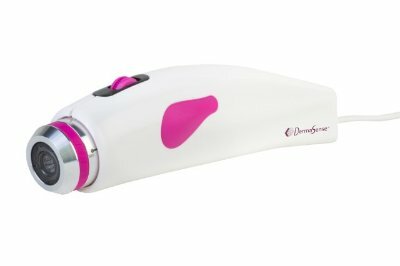 CoolSense is now introducing DermaSense! back of the hand and is suitable for both men and women. 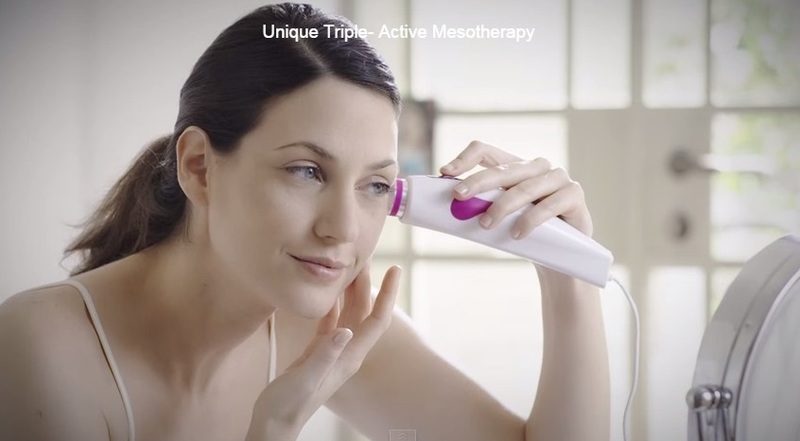 Removable Cooling Head for a more effective discomfort-free treatment. Serum complex for on-contact cooling and numbing of the skin during treatment. According to Islam, the Prophet Mohammed, always broke his fast during the month of Ramadan with dates and water. IsraelExporter.com Company 'Hadiklaim' is a leading exporter of dates selling to leading retail chains in the US, UK and Europe. 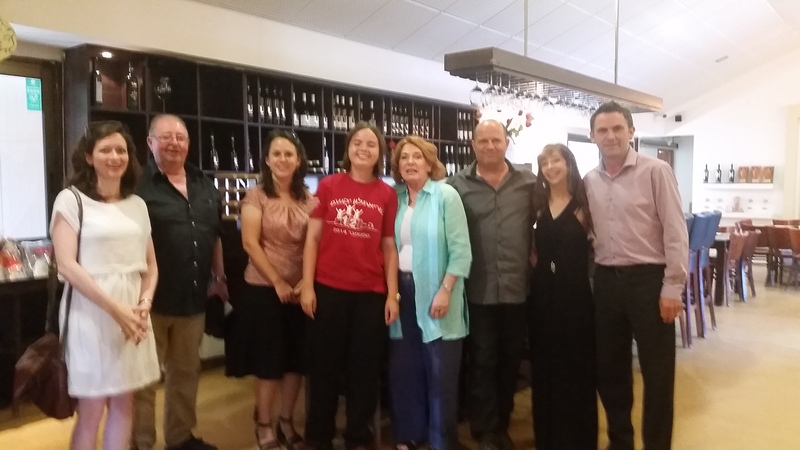 Working with over 100 growers, including 60 cooperative enterprises and kibbutzim, Hadiklaim exports to over 30 countries. 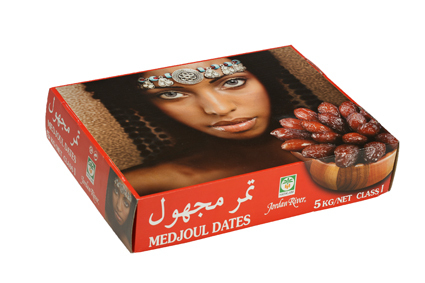 The Dates exported by Hadiklaim are very popular during the month of Ramadan. Yaniv Cohen (Marketing Director for Hadiklaim) visiting a retail store in NYC that's selling their majhoul dates during the special Ramadan sales! 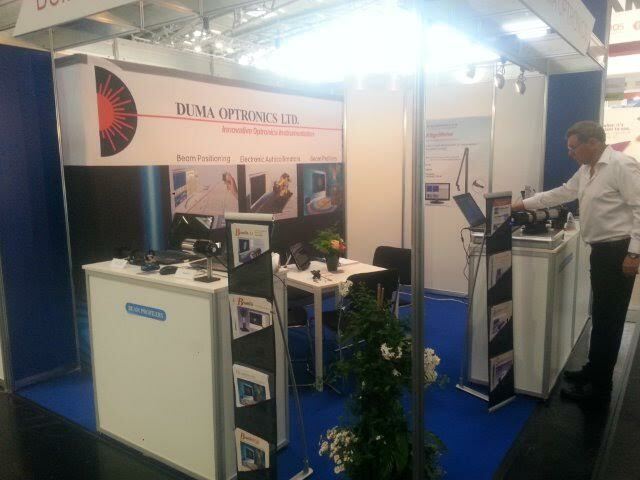 It was a great show for Duma Optronics at the Laser World of Photonics in Germany! 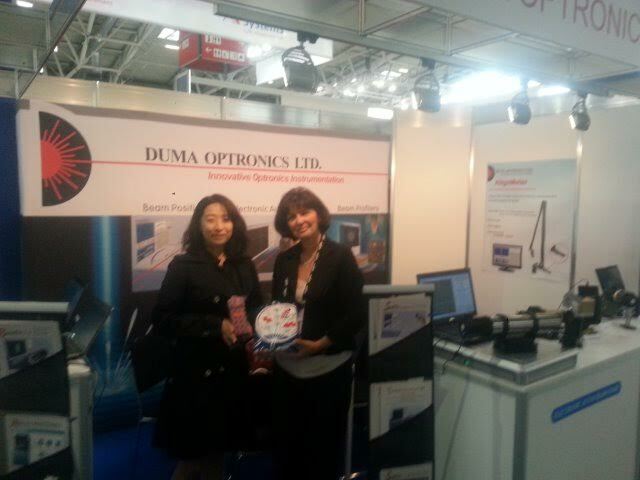 Duma Optronics had the opportunity to meet with many potential new partners from around the world, such as: China, Italy, Japan, France and Russia. Tal Azulay (since 1987) is one of Israel's leading designers & manufacturers of high quality, modern and luxurious jewelry. Tal Azulay Jewellery supplies to many of the leading international jewelry retailers. The company employs over 30 professionals and uses state of the art technology from design to end product. 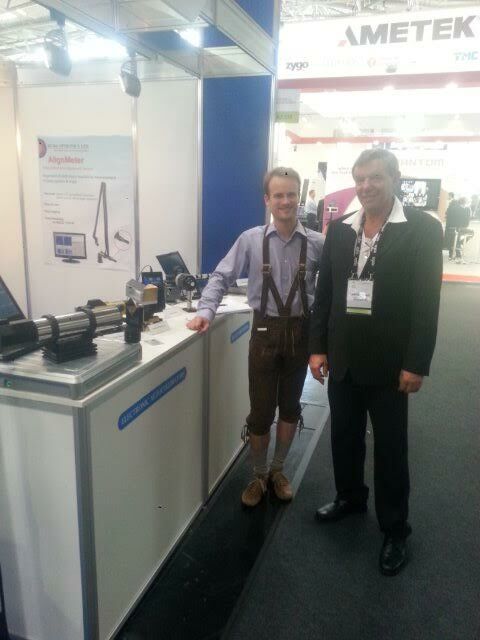 Tal Azulay uses a Solidscape 3D printer hooked up to the Rhino 3D modeling software. Rhino 3D modeling software is a "playground for [the jewelry designer's] imagination and a workbench where…ideas become masterpieces." With Rhino, the jewelry designer can create a 3D model of an idea, and then fine-tune it until the perfect rendering is achieved. 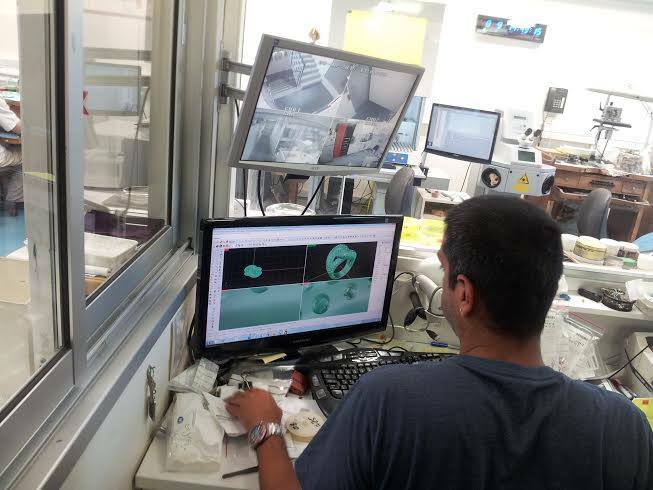 Once this is done, the data is sent to the Solidscape printer where a wax casting is created, ready to be handed over to the craftspeople who will transform it into the finished piece.